Your Baby Won’t Stay Little Forever, BUT You Can Capture This Moment! Create treasured memories with this easy DIY craft project. This baby keepsake project allows you to lovingly capture the essence of your precious baby by making impressions of his or her little hands and feet. 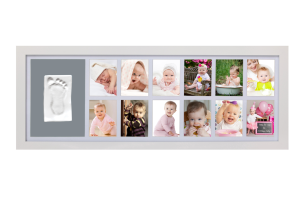 With the addition of a few photographs, it’s a memento to cherish forever that your child will even appreciate as an adult someday. Don’t miss out on the opportunity to preserve your baby’s sweet little hand and foot prints.